WSAV TV and reporter Martin Staunton aired a story t his morning on Dr. Clark Alexander’s study on sea level rise on the Georgia coast. University of Georgia Skidaway Institute of Oceanography researcher Chris Marsay is on top of the world—literally. 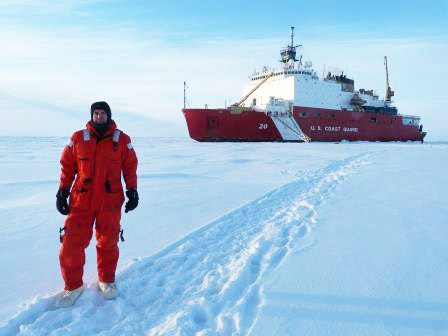 UGA Skidaway Institute scientist Chris Marsay at the North Pole, with the U.S. Coast Guard Cutter Healy in the background. Marsay arrived at the North Pole in early September. He is taking part in the US GEOTRACES Arctic Expedition on board the U.S. Coast Guard Cutter Healy, a polar icebreaker. The project is part of an international, multiple icebreaker effort to conduct geochemical sampling of the Arctic Ocean. The cruise arrived at 90 degrees north on Sept. 5 in what is the first occupation of the North Pole by an unaccompanied U.S. surface ship—submarines usually follow ships below the ice. While at the pole, the Healy rendezvoused with the German ship conducting the German leg of the GEOTRACES Arctic program. 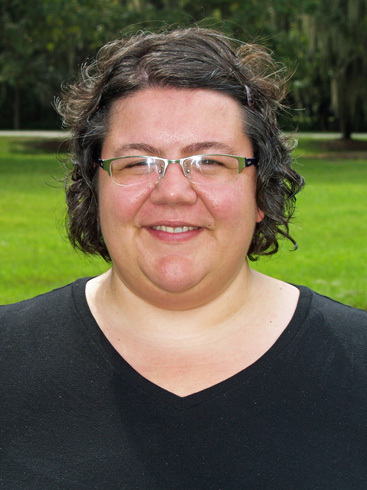 Marsay is working with UGA Skidaway Institute professor Cliff Buck and scientists from Florida State University and Rutgers University. The research team has been funded by the National Science Foundation to collect samples from the atmosphere, precipitation and surface water from melt ponds during the cruise. 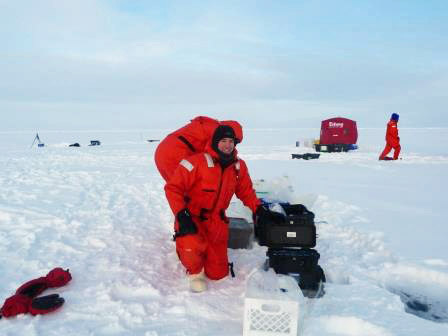 Chris Marsay collects samples at the North Pole. There is an interesting story in Hakai Magazine on Georgia shrimpers that includes Skidaway Institute’s work on black gill. The UGA joint summer research methods course, taught partially at UGA Skidaway Institute, was the featured cover story in the latest issue of Georgia Magazine. The four-week course was split between the UGA Marine Institute on Sapelo Island and Skidaway Institute. Click on the cover to read this very nice article. A couple of our researchers, Mike Robinson and LeeAnn DeLeo, made a caricature appearance in an editorial cartoon in the Savannah Morning News this week. 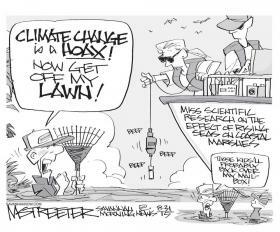 Thanks, cartoonist Mark Streeter!